Dog Nail Trimming South Elgin IL should be performed about once per month for most dogs. However, depending on factors like breed and activity level, that recommended frequency may vary. For dogs that remain indoors for most of their time, their nails may need to be trimmed more often. Dogs that spend lots of time outside and walk on harder surfaces such as sidewalks or asphalt paths may not need a trim quite as often because their nails will wear down naturally. 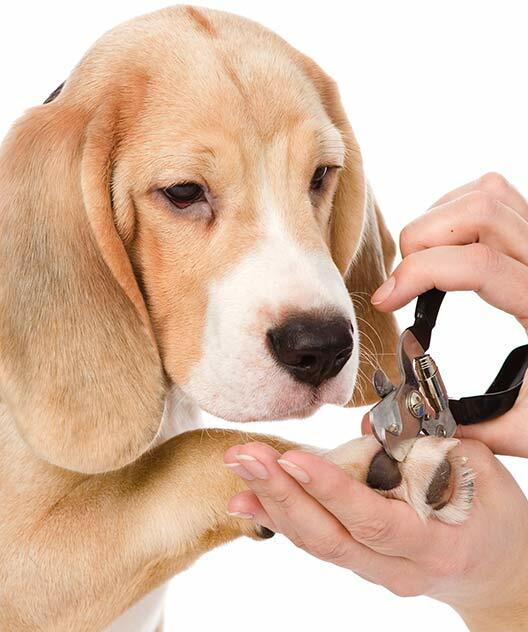 A basic guideline to follow for most canines is to bring them on in to WoofBeach Sands for professional Dog Nail Trimming South Elgin IL when you start to hear their nails “clicking and clacking” on the floor. Other telltale signs are if the nails are growing around to the underside of the pads on the animal’s foot and causing discomfort, or if grass and twigs become entangled in the nails. One of the dog care services WoofBeach Sands offers during our convenient walk-in hours of 10 a.m. to 3 p.m., Dog Nail Trimming South Elgin IL by our experienced team of groomers is a safe and worry-free process for pets and owners. With years of experienced in all aspects of dog care, the WoofBeach Sands team is dedicated to expert grooming in a relaxed, positive environment. 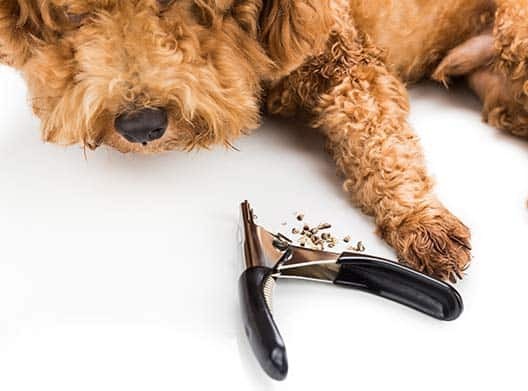 For some of our canine clients, the use of an electric grinder is preferable to clippers for Dog Nail Trimming South Elgin IL. Comparable to a sander, the instrument simply reduces the nail length by grinding it down as an alternative method to clipping. Your WoofBeach Sands groomer can advise on which method will be optimal for your dog. 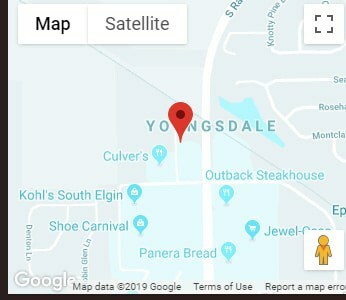 If you and your dog happen to be near our store at 238 Randall Road, take advantage of our convenient walk-in hours and stop in for a Dog Nail Trimming South Elgin IL.